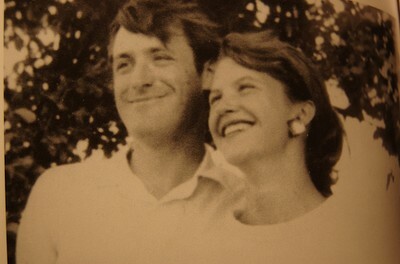 The story of famed poets Sylvia Plath and Ted Hughes is so immensely disheartening and saddenning when thinking about it and it has the quality of those rare stories that always stays with oneself. In brief thier stormy and passionate relationship was that of two people who loved each other above anything and yet proved to be uncompatible for each other to the point of it being destructive. Their story leads to tragic twists of fate, ending in a number of suicdes beginning with Plath taking her own life at the age of 30 by placing her head in the oven with the gas turned on. There were cases of infidelity during their marriage on Hughes' part and Plath was left by him without divorce, for another woman by the name of Assia Wevill. Hughes later claimed the spouses never really considered divorce and that they were talking about reconciliation, only days prior to Plath's death. Many of Plath's followers continiuously and aggresively blamed Hughes for her death. Only in his great poetic work, Birthday Letters, which was published 35 years after her death did Hughes actually address the issue of their relationship in his own words. Hughes eventually left Assia Wevill, who committed suicide (6 years after Plath's death) and murdered her 4-year old daughter by Hughes in the very same way Plath had died before her. In March 2009, Hughes' and Plath's son Nicholas Hughes also ended his life with suicide at the age of 47. Featured below is my very favourite poem by Plath. as a tennis ball at twilight. Den här bilden är så otroligt fin! Verkligen! Jag håller med, de ser så lyckliga ut!